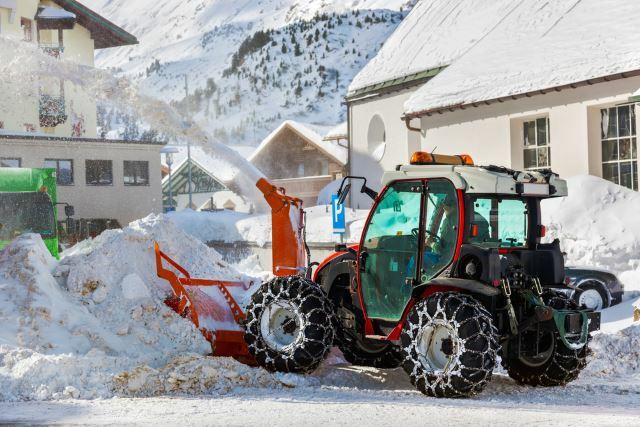 This is because most tractors have the capabilities to work with attachments that can help with lawn care, digging, lifting, pulling- and even snow blowing. If you are lucky enough to have a long drive, then you know the struggle winter weather can bring in the form of snow. Plowing a drive is often a good way to get snow moved quickly and efficiently, but it can be incredibly rough on both paved, and gravel driveways alike. 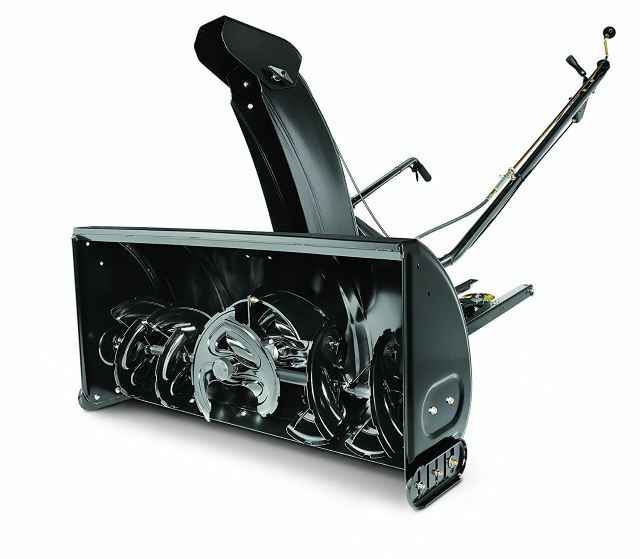 Investing in a good tractor snow blowers combination attachment is a great way to ensure your driveway surface is left undamaged through the winter months. WHAT IS A TRACTOR SNOW BLOWER COMBINATION? 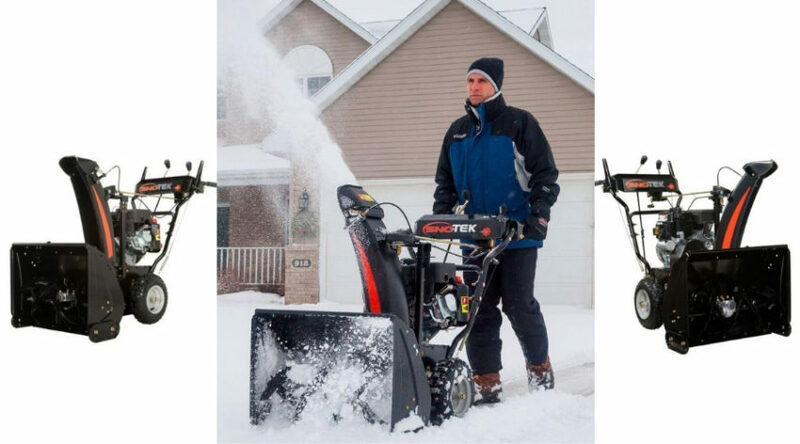 HOW DOES A SNOW BLOWER ATTACHMENT WORK? 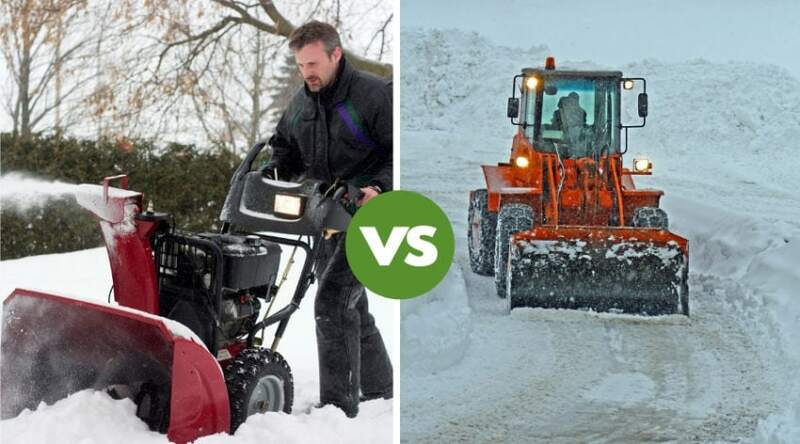 WHY CHOOSE A TRACTOR SNOW BLOWER ATTACHMENT? DO YOU HAVE LONG WINTERS? DO YOU HAVE A LONG DRIVEWAY? DO YOU HAVE LIMITED STORAGE? 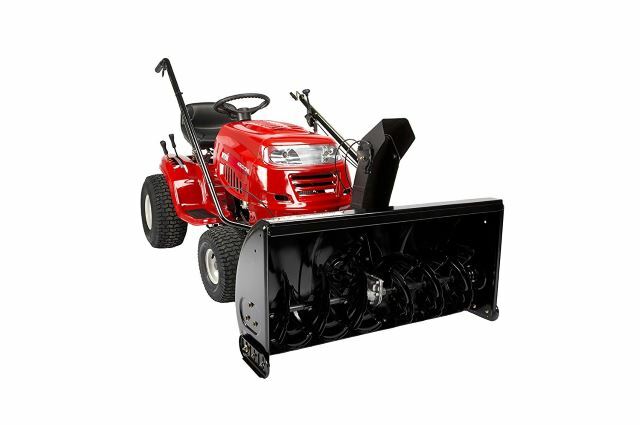 Tractor snow blower combos refer to those attachments created to fit the front of your tractor or riding lawn mower machines in order to take advantage of the product’s power to move large amounts of snow with very little effort. These generally have a very large housing, and since they are run by the tractor engine, are powerful and throw more tons of snow per hour than any heavy duty dual stage gas blowers. 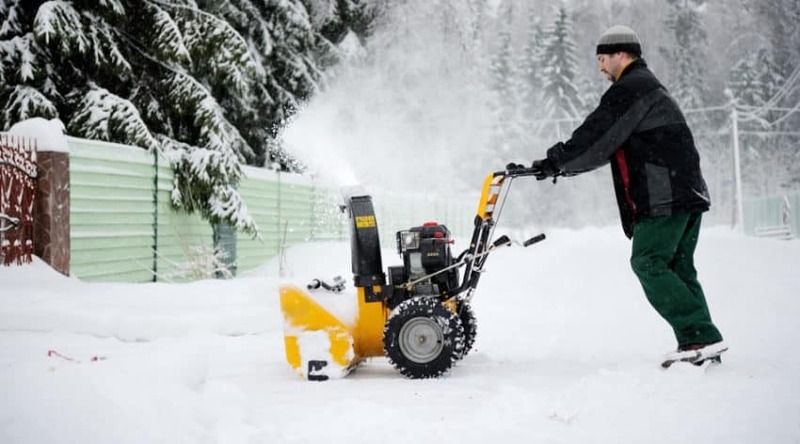 Essentially what you create through adding an attachment is a riding snow blower, and the best riding snow blower is one that you have carefully researched for the best products available. Your lawn tractor or garden tractor is a powerful engine with four wheels. Depending on what you own, hooking up your new attachment will be specific to your make and model engine, and will come with its own set of instructions. There are also a wide variety of online manuals and forums dealing specifically with this topic for further help. Basically, what you will be doing is hooking up the attachment to the motor through the installation of the clutch and v-belt in order to provide you the power to, and control of, the blower. 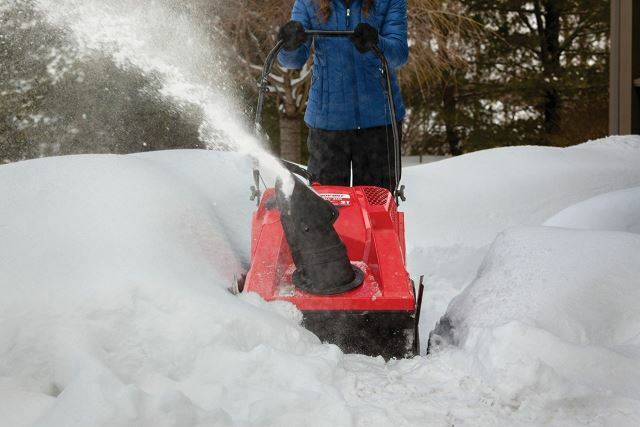 Once you have it hooked up per the manual instructions, you can literally drive your blower through the areas you need to clear and direct the snow to where you need it thrown. Remote chute control and hydraulic lift capabilities can be included as well. 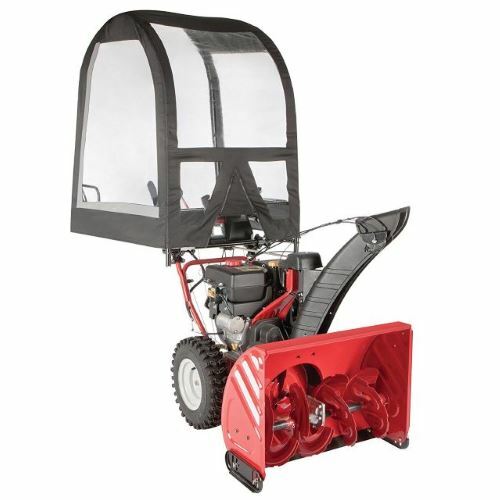 If you have a lot of property to clear of snow, whether it is gravel or paved, and you own a riding lawn mower or tractor (or have considered investing in one)- then you may want to consider a snow blower/thrower attachment. Snow plows, although extremely useful, can occasionally damage your roadway by creating uneven grading, taking up a layer of a road, or catching uneven places on cement and cause further cracks or heaving of the surface. These snow blower attachments are extremely useful for moving seriously massive amounts of snow well out of your way and well away from your driveway. As temperatures begin to rise, piled up snow caused by plowed snow will usually begin to trickle back onto your driveway. As temps drop below freezing you could be left with black ice and a slippery driveway. 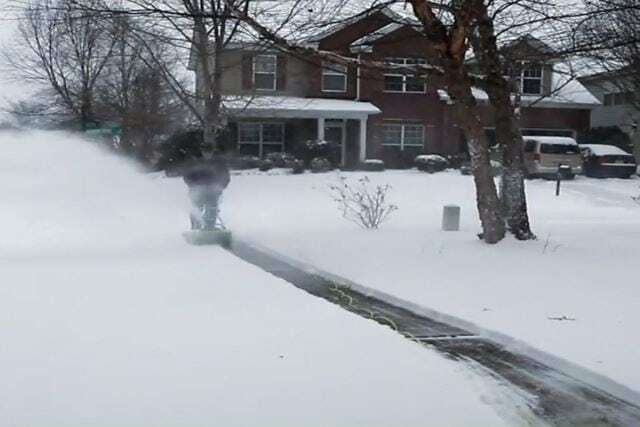 Snowblowers allow you to direct where snow is blown so you can avoid large piles directly next to or slightly in the areas you need clarification. It is always important to determine if the attachment you are considering will fit your machine. Some brands make their own to fit specific makes and models they have manufactured. Others are considered universal in nature and can fit various models across brand names. Be sure to always look closely at what you are considering to determine if it is compatible with your machine. Since riding a lawn mower ownership is much more common than owning a larger tractor. These types of attachments are also more commonly found for general residential use. However, the investment in one is only worth considering if you feel that you can justify its use through the winter months. Ask yourself the following questions to determine to help guide you in your decisions. This may quite honestly be an obvious answer, but winter months can be a great time to invest in a riding lawn mower if you have been considering buying one. Anything bought out of season can generally be bought at a discount price as businesses look to replace last year’s models with new. 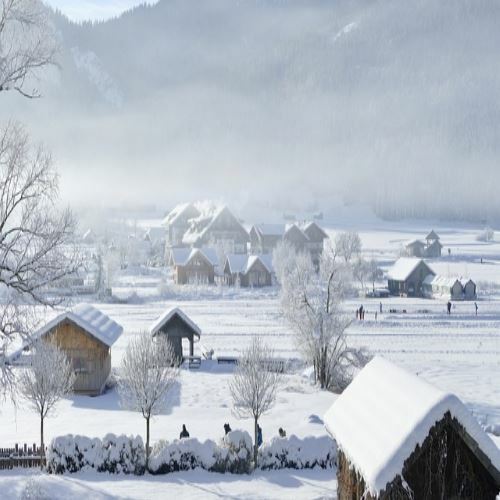 Long winters do not always equal heavy snowfalls and vise versa. 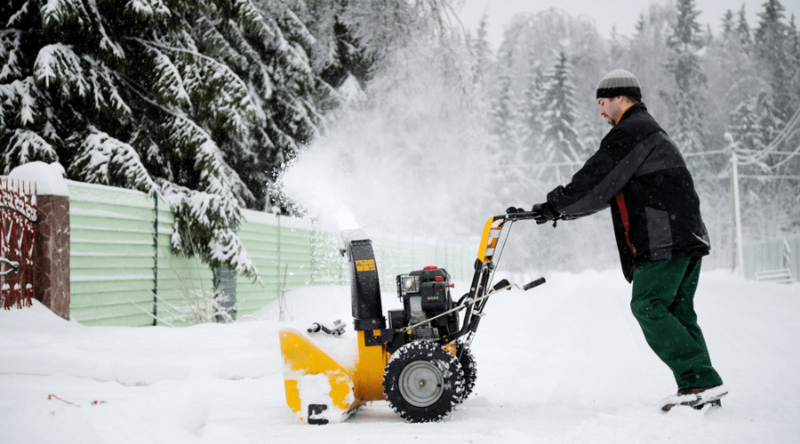 If you know that you might have your snow blower attachment hooked to your machine for a justifiable amount of time and not taking up space in storage, then the investment in one might be well worth it. A snowstorm or two each year, no matter how heavy, maybe better-taken care of through a hired snow clearing service. However, if you know you will be receiving regular snowfall that will keep you busy on a weekly basis, having your own equipment keeps you from having to wait for somebody else to do it. Plus, those service costs can add up fast. If you do not have a long, large driveway, then a tractor snow blower combo may be a bit of a waste. 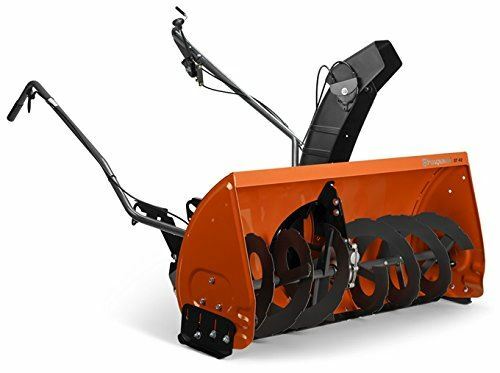 These types of attachments are best put to use in areas that need a heavy clearance of snow, and it is hard to justify the cost of such a tool when a walk behind snow blower is much more cost effective and more suited to the job. Snow blower attachments are large and do require quite a bit of space to keep it stored properly to avoid moisture damage, as well as problems with rodents (that often like to chew on cords or build nests in sedentary machinery). This is an attachment designed with strength and ease of use in mind and uses reinforced brackets and advanced knob and control ergonomics. 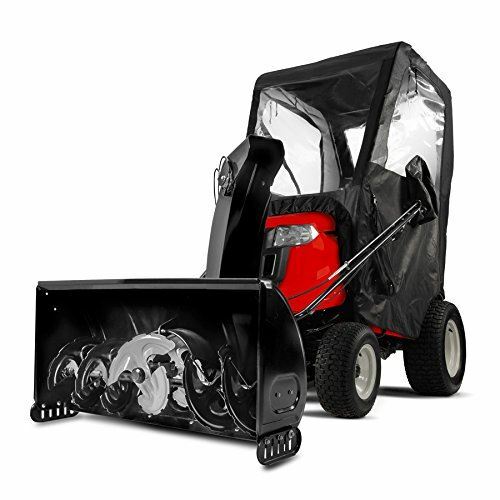 Not only is it durable, it includes a third accelerator auger to better handle heavy, wet, and icy snow. The huge 42 inches wide and 20-inch high housing can handle seriously deep snowfalls to toss 30 feet or more through a remote-controlled, 180-degree chute. Adjustable skid shoes and scraper blades are included to help cut into drifted or plowed areas for widening a drive, as well as for use over uneven terrain to avoid damaging your property. This is a great product for anyone with larger driveways that are either gravel or cement and who lives in an area that receives larger amounts of heavy snowfall on a regular basis. A huge 18-inch serrated auger helps get heavy, icy snow chopped up and through the powerful impeller to be tossed 30 feet or more out of your way. With a durable steel body, the mounting equipment is considered some of the best in the business to ensure you have a strong, long-lasting foundation. The 42 by 20-inch housing can handle deep snow with ease, and with a 33-inch chute (controlled remotely) that has the capability to rotate 22 degrees, you can seriously get snow where you need it. It also includes adjustable skid shoes to provide peace of mind over gravel drives and uneven terrain. This is a popular model that is specific to certain model use and is belt driven. 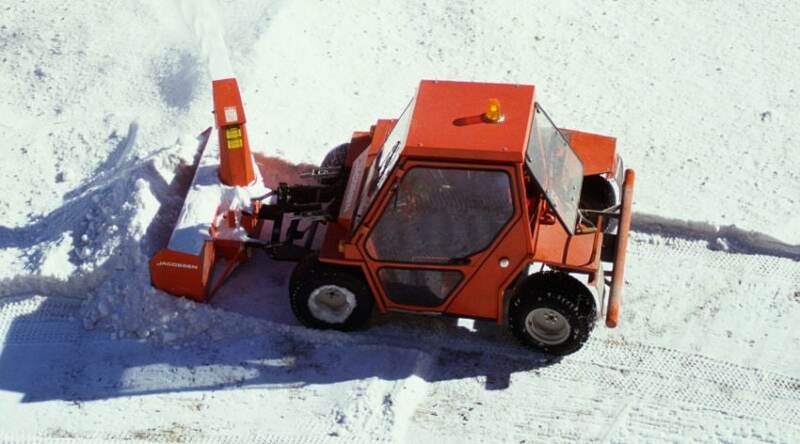 It is created for both paved and unpaved surfaces and works well over large areas for easy clearance of heavy snow. 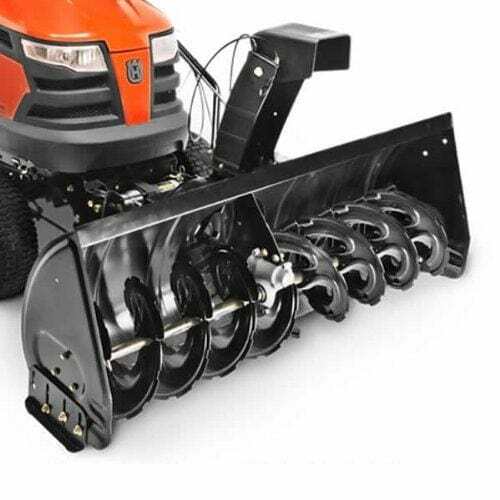 This model houses a 12 inch serrated auger with huge throwing power, capable of handling 18 inches of snow. With up to a 50-foot throwing distance, the 42 by 20-inch housing can be manually adjusted in order to use over gravel or cement, for a clean and manicured look. Skid shoes and wear plates are removable and adjustable, and the 180-degree chute is completely remote control to allow you to keep working without pause. Like most models designed by the company, once you have mounted the product, you can easily hook it on and off without any tools. Like other models, this is an excellent choice for large driveways and can handle both gravel and concrete drives with ease. The serous throwing power is also excellent for getting snow well out of the way to avoid any melt back as it warms. A 12-inch serrated auger is housed within a large 42 by 20-inch housing unit to throw snow up to 50 feet with very little effort. 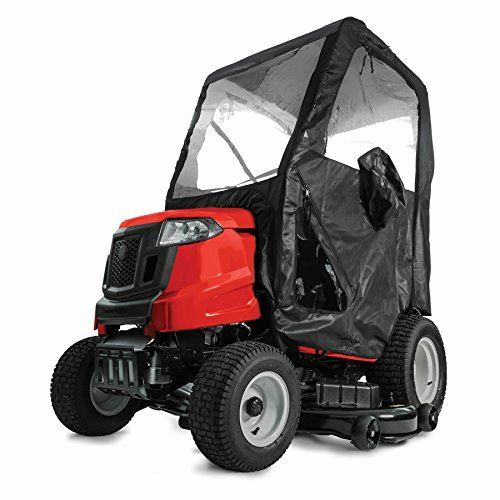 With an electric lift, you can raise or lower the unit easily from your position to adjust for changes in your terrain without having to stop and get up. The skid shoes and wear plates are easily removable and replaceable, plus the 180-degree chute and deflect is entirely controlled remotely for true control while you work. The lighter weight keeps your machine from being overly strained as it works, and lets you hook up and remove the tool on your own. 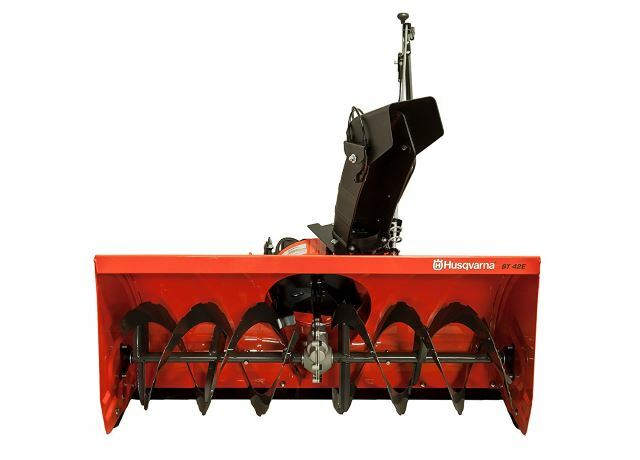 This is an excellent choice for serious large driveway clearance and since the attachment doesn’t need any tools for easy on and off after initial mounting, it’s a great choice for anyone who needs to change out attachments quickly. This powerful tractor mount has a massive 50 inches wide and 20-inch high housing. 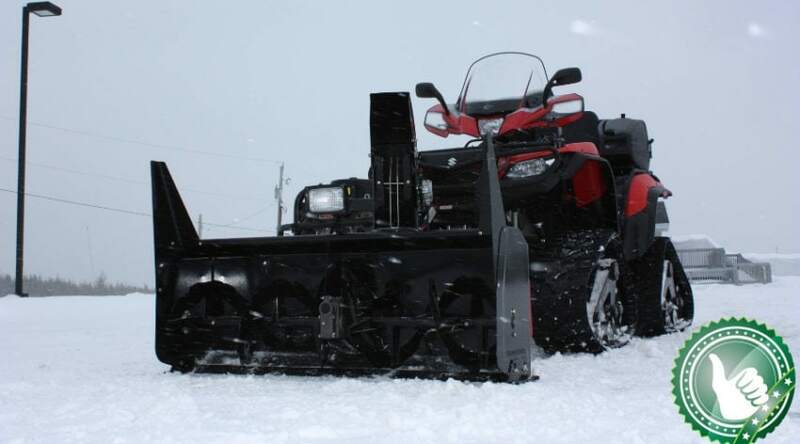 It holds a 12-inch steel 3 blade auger and high-speed impeller capable of throwing snow up to 50 feet depending on depth and heaviness of the snowfall. Skid shoes and wear plates are removable and replaceable, and the 180 chute has a basic crank remote adjustment control. Plus, the system has an electronic lift, making your job run even more smoothly as you do not have to stop for any sort of adjustments while you run it. It also comes with a Hydro-Gear Heavy Duty gearbox, to provide you peace of mind for long-term use. Once the system is mounted you can remove or add without tools. This is truly one of the larger housing units offered within the industry, and wide driveways are seriously no match for this machine. 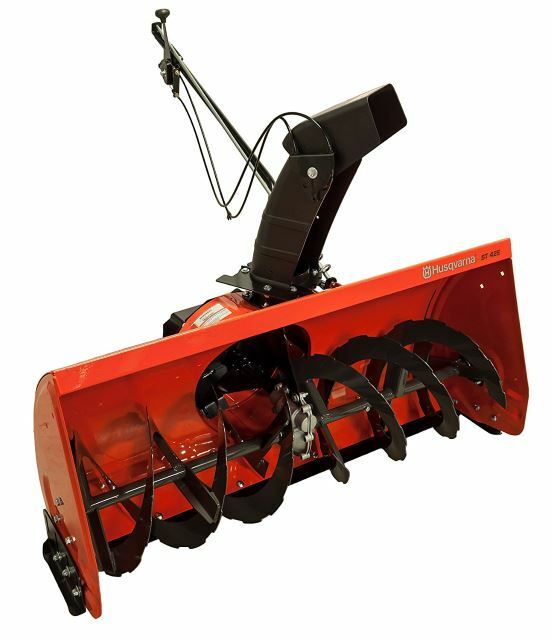 This is a perfect match for clearing very large amounts of snow, whether over gravel or concrete, with ease. 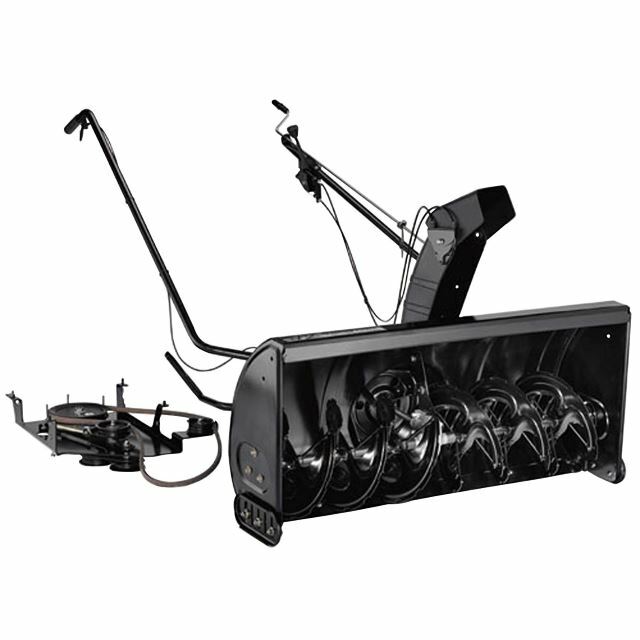 When you have large amounts of snow to move over large amounts of property, then a tractor snow blower attachment is a great solution if you have either a riding lawn mower or tractor of some sort. 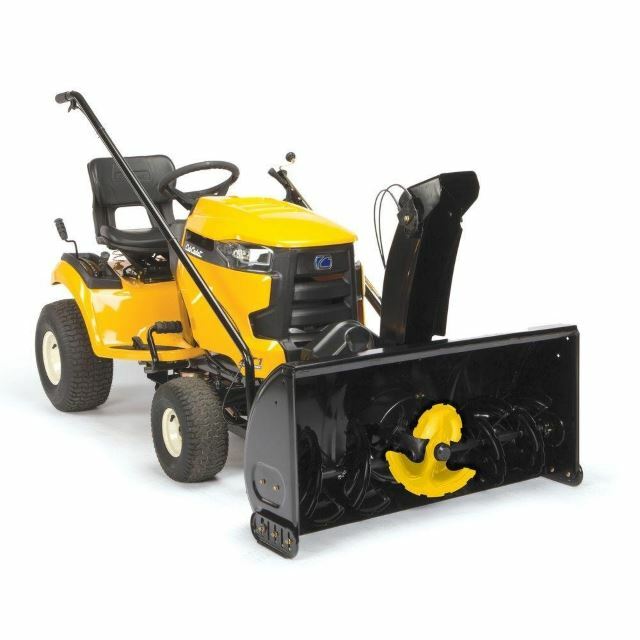 With most models fairly similar in nature, our favorite is the Husqvarna 581 Tractor Mount Two-Stage Snow Blower due to the controls being at your fingertips, especially concerning the electronic lift. 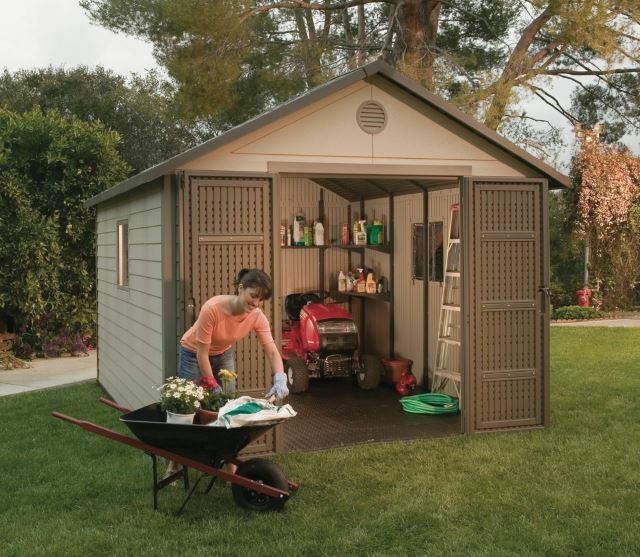 The wide housing, combined with the 50-foot throwing distance makes clearing your property easy and effective no matter what mother nature has thrown your way. If you have a favorite attachment style or brand or have any questions about the ones we’ve highlighted, we’d like to hear from you below. And, as always, please share.